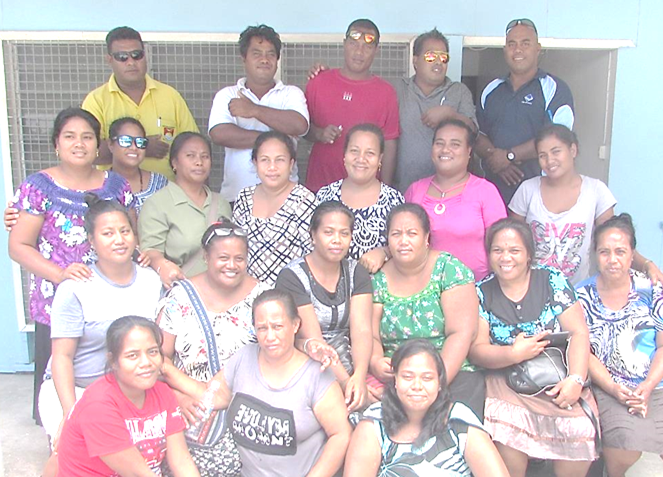 Saturday, March 4, 2017, MIA –Island Project Officers (IPOs) from all 23 Councils in Kiribati attended a session on developing Strategic Plans for Local Economic Development (LED) delivered jointly by Eliza Tokataake, Urban Management Officer of the Ministry of Internal Affairs (MIA) and Rikiaua Takeke, Executive Officer of the KiLGA. The training is part of a two-week training course for IPOs that the Rural Planning Division (RPD) of MIA organized, fully funded by the division from its surplus funds for 2016. “We had wanted to carry out this training for our IPOs so remaining funds from our 2016 recurrent budget was used to purchase their air tickets,” said Kaotitaake Kokoria, the Acting Director of RPD. The IPOs agreed that the training was valuable and also allowed them to come together in Tarawa and share good practices and experiences.